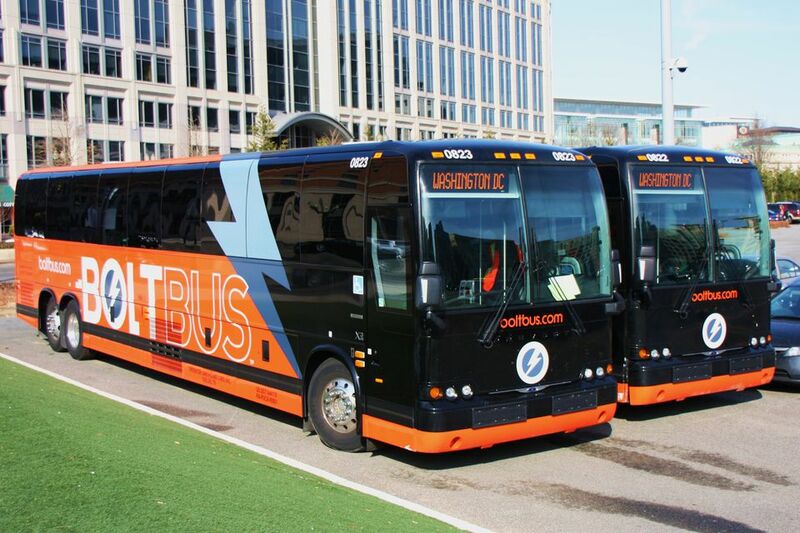 Find the Best Bus Company to Go Between NYC and D.C. Traveling by bus from Washington, D.C. to New York City is becoming increasingly popular and remarkably cheap. A bus trip from D.C. to NYC takes about four hours and round-trip fares typically cost between $25 to $50. The buses are convenient and relatively hassle-free. You can often easily make last-minute reservations and get a seat, depending on the time of day. Keep in mind when planning a trip, that buses are affected by traffic so you should try to avoid the busiest travel times whenever possible. Here is a guide to bus companies that provide service between these two cities. Note that the bus stop locations change periodically and confirm the stop location when you make a reservation. DC bus stops: 20th St. and Massachusetts Ave. NW (Dupont Circle) and Union Station, 50 Massachusetts Ave., NE Washington, D.C.
D.C. bus stops: Union Station, 50 Massachusetts Ave., NE and DuPont Circle, 1610 Connecticut Ave., NW Washington, D.C.
D.C. bus stop: 715 H St. NW Washington, D.C.
D.C. bus stop: Union Station, 50 Massachusetts Ave., NE Washington, D.C.
Also departs from Baltimore (White Marsh), MD. D.C. bus stops: 1610 Connecticut Ave. NW (Dupont Circle) and 50 Massachusetts Ave. NE (Union Station) Washington, D.C.
You can also travel between D.C. and NYC by train on Amtrak on the 457-mile Northeast Corridor that runs between D.C. and Boston. Keep in mind that a train ticket is more expensive than a bus ticket but offers the advantage of slightly faster speeds and being able to get up and move around in the car.